Oregonians could soon be paying $4 or more for a gallon of gas if lawmakers pass cap-and-trade in the next year, according to the Taxpayer Association of Oregon Foundation. Recent surveys from the AAA of Oregon and Washington indicates this would amount to a 40 percent increase in the price consumers are currently paying at the pump. Just before Christmas, Oregon lawmakers unveiled an outline of their plan to impose a cap-and-trade program on the state. Sponsors of the program hope to turn their proposal into law during the 35 day legislative session beginning in early 2018. At one time the proposal was estimated to generate $1.4 billion every two years from the sale of emissions permits. That amounts to about $450 a year for an Oregon household. Much of that will come from higher fuel and utility prices paid by Oregon homes and businesses. According to the California Assembly’s nonpartisan legislative analysts, by 2021 cap-and-trade will raise gas prices in the state by at least 15 cents a gallon (1). Research by FTI Consulting finds Oregon would see similar increases (2). GasBuddy reports that Oregon already has the fifth highest gas prices in the U.S., running 12 percent above the national average. 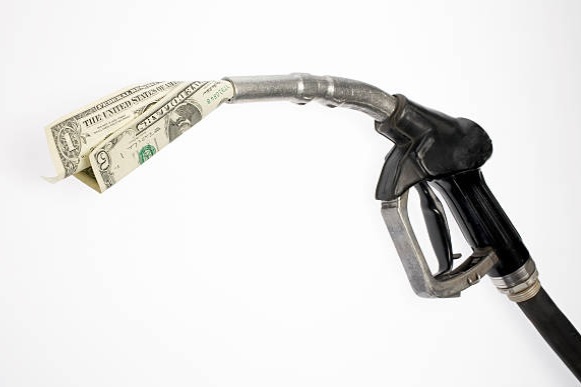 With the New Year, Oregonians will pay an additional four cents in gas tax (3). In addition, the state’s Low Carbon Fuel Standard, once implemented will cause gas prices to rise even higher. With cap-and-trade, along with the other policies designed to increase fuel prices, Oregonians could soon be paying $4 or more for a gallon of gas. — For further comment contact Jason Williams, Executive Director, Taxpayer Association of Oregon Foundation at 503-603-9009. The Foundation has been educating the public about tax and government spending since 2001.